Pope Francis will travel to Egypt for the first time on Friday, offering words of solidarity to the country’s beleaguered Christian community and delivering a speech to an international conference on peace. In a video message released by the Vatican this week, he said he was coming to Cairo as a “messenger of peace”. But at the heart of his two-day trip is a glaring contradiction, critics say. The venue in which he will speak is accused of disseminating a rigid, medieval version of Islam that foments extremism and does nothing to foster peace and understanding between Muslims and Christians. Al-Azhar university is a 1,000-year-old theological institution where Sunni academics pore over ancient texts and produce papers on what it means to be Muslim. Pope Francis will meet its grand imam, Sheikh Ahmed el-Tayeb, as part of an ongoing effort by the Vatican to improve dialogue with Muslim leaders. Although revered across the Muslim world, the university is accused of refusing to update centuries-old teachings and failing to counter militant Islamic thought that breeds extremist groups such as Islamic State, which has carried out bloody attacks on Christian churches in Egypt in the last few months. 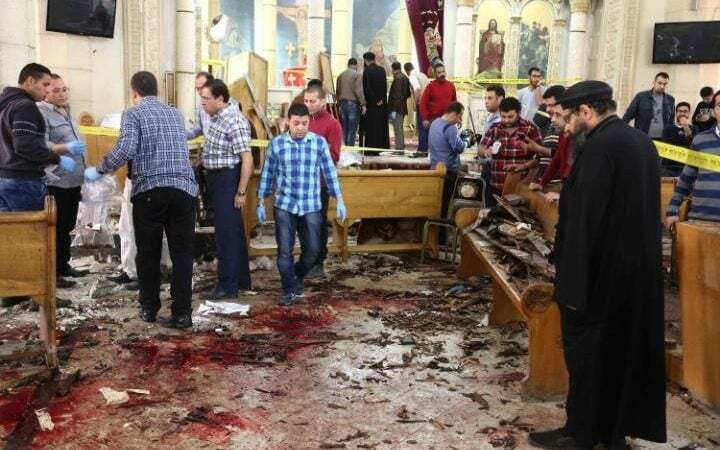 On Palm Sunday, suicide bombers killed 45 people after targeting two churches, one in the Nile Delta city of Tanta and the other in Alexandria. The attacks were claimed by Isil, as was an attack on police officers guarding ancient St Catherine’s Monastery in the Sinai desert a few days later. After touching down in Cairo at lunchtime, the Pope will have a reception with Abdel Fattah el-Sisi, Egypt’s president, before delivering his speech to the closing session of the international peace conference, organised by Al-Azhar. In a statement, the university said that the conference would send "a message of peace" intended to "reject all causes of intolerance and hatred". But many people in Egypt view that as empty rhetoric, saying that Al-Azhar does exactly the opposite – it encourages radicalism and breeds intolerance. "The teachings of Al-Azhar are taken from medieval texts. 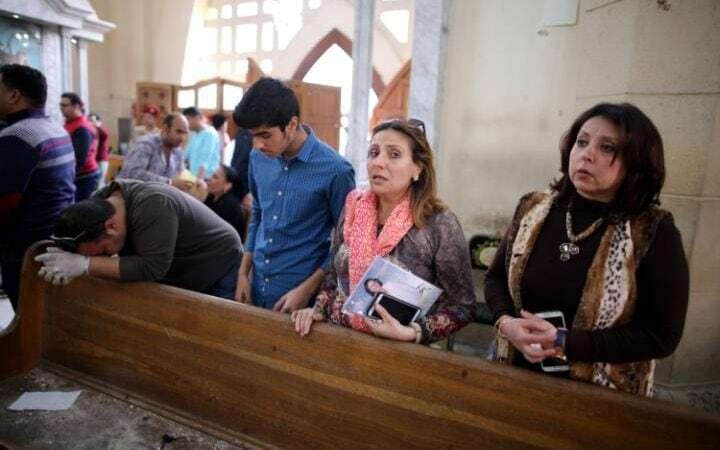 In its books and curriculum there is a clear tendency to reject ‘the other’ and exclude him from the public life," said Bishop Youhana Qolta, a senior member of the Coptic Catholic Church. Texts studied by Sunni scholars at the university teach that Muslims should not allow “infidels” to build churches and that Christians should be forced to pay a special tax or face death. In recent years, the university suspended one of its professors on allegations of "promoting secularism and atheism". Resisting demands to reform its teachings, it has filed lawsuits against several authors and artists under Egypt’s blasphemy laws. Al-Azhar’s scholar-clerics study the Koran and the thousands of sayings of the Prophet Muhammad, along with the huge library of interpretations of those texts written by scholars over the centuries. From that analysis, they produce explanations, dissertations and opinions on proper belief and practice. Some of the treatises espouse deeply hard-line ideas, including books that teach that Muslims must not greet Christians on their holidays or that building churches is a sin. Others say fighting "infidels" is a duty or that those who convert from Islam to another religion should be killed. Some texts call for the oppression of homosexuals. When the Egyptian government proposed a new law that would prevent Muslim men from ending their marriages simply by saying "divorce" three times, Al-Azhar promptly rejected the idea, saying the right must be upheld. "Our nation will never be a modern and civil state as long as Al-Azhar continues to live on its present rationale," said Mohammed Abu Hamad, a pro-government MP. Ahmed Karima, a professor of Islamic Shariah law at the university, also said the criticism was unfair. "These texts are taken out of context. Isn't there incitement to war in the Christian and Jewish heritage?” he said. But when pressed on accusations that Al-Azhar was encouraging extremist ideology, he put the phone down. Sheikh Ahmed el-Tayeb, the chief imam, has repeatedly condemned Islamic State and its terrorist attacks and is widely seen as one of the most moderate senior clerics in Egypt. Al-Azhar has dramatically expanded its influence in recent decades. In the early 1950s it boasted just 10 schools and institutions. Nowadays, it runs 23,000 schools and 680 higher education institutions. More than 300,000 students from Egypt and other parts of the Islamic world flock to its courses each year. Some analysts believe that Egypt’s military regimes have deliberately encouraged the expansion of Al-Azhar’s influence in order to help spawn radical Islam, destroy any chance of democracy taking root and providing a pretext for staying in power. The Pope’s visit would be little more than a photogenic public relations exercise that will do nothing to rein in extremism or improve the lives of Christians in the Middle East. “It will produce nothing. It is a wasted effort,” said Mr Al-Mahdi.